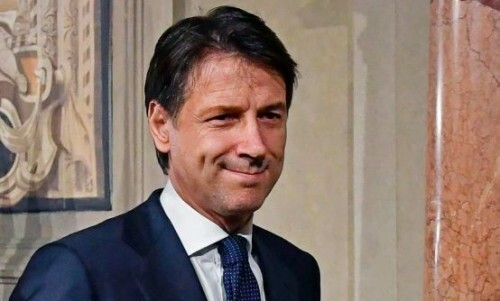 Rome : Italian authorities "continue to follow" the case of 23-year-old Italian aid worker Silvia Romano, who was kidnapped in southern Kenya in November "but haven't yet got to the bottom of it", Premier Giuseppe Conte said on Wednesday. "We are following the case," Conte told a group of students during a meeting with them at Rome's private Luiss university. "There was a moment when we seemed close to solving it. But unfortunately, we haven't yet got to the bottom of it," he added. Romano was seized from her accommodation in an armed attack on November 20 in a coastal area of Kilifi County, 80 km from Malindi. She was working as a volunteer for the Africa Milele NGO based in Torno in Italy's eastern March region. Initial lines of enquiry followed by Kenyan investigators included Roman's kidnapping by a local gang aiming to get a ransom for her release or by militants from Islamist militant group al-Shabab. President Sergio Mattarella mentioned Romano in a Christmas address, saying the country hoped she would be returning home "soon" and that volunteers like her were "a source of pride for Italy".